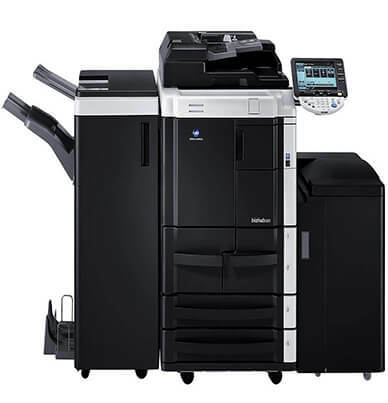 The 55 page-per-minute (45 ppm color) Konica Minolta Bizhub C 552 gives you the ability to stay ahead of busy document traffic. 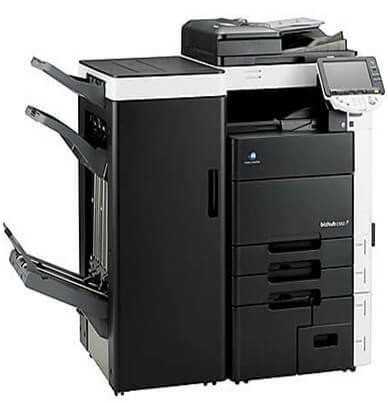 Whether you want to copy, print, or scan it is ready for the job in black and white or eye-catching color. 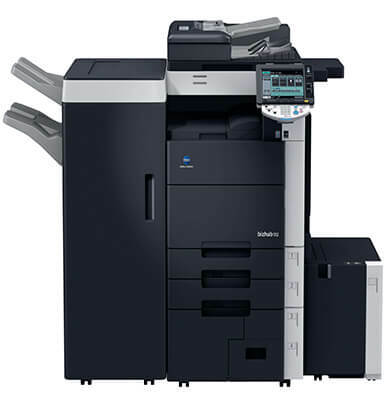 The Bizhub C 552’s robust monthly duty cycle of 200,000 impressions allows it to deliver your documents on demand. 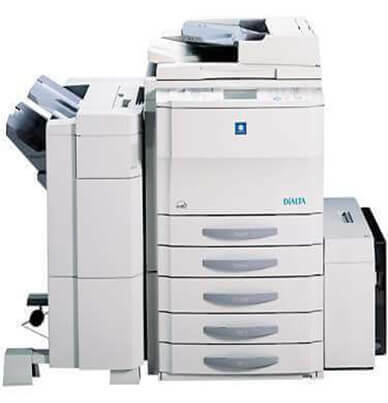 Standard Ethernet is perfect for the connected business or workgroup. 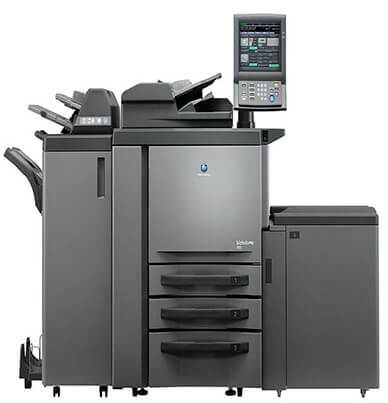 Paper sources are abundant, starting with the four drawer setup and 150-sheet bypass tray providing space enough for 3,650 sheets. 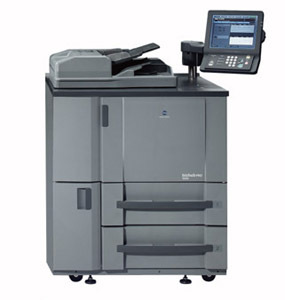 When all paper tray options are utilized the maximum of 6,650 sheets can be met. 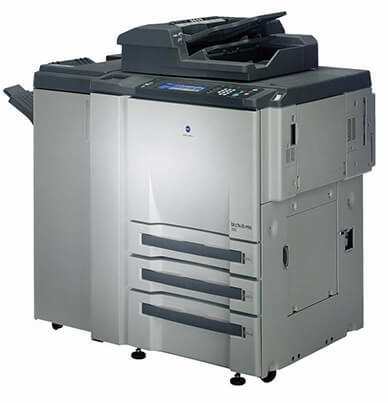 Automatic duplexing is standard, two-sided document production is a snap. 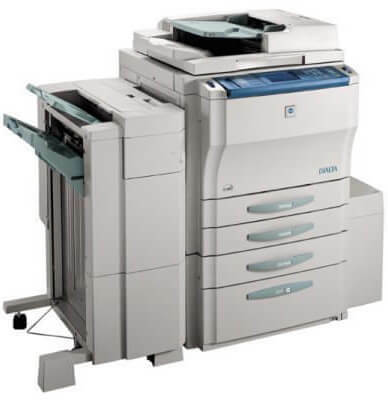 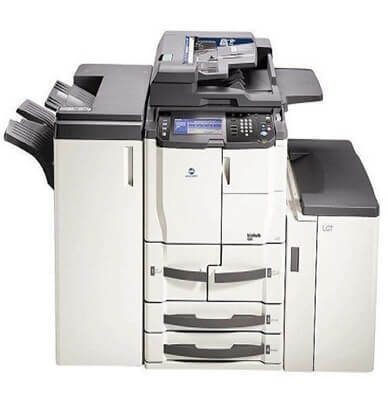 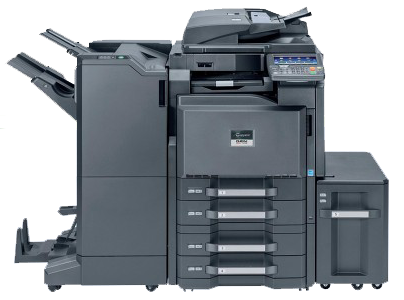 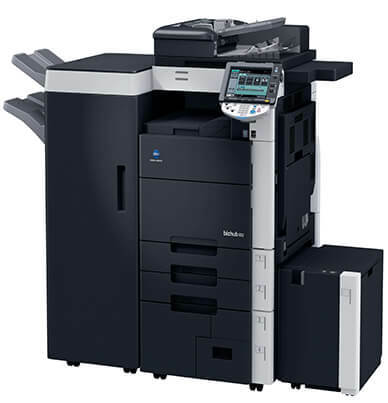 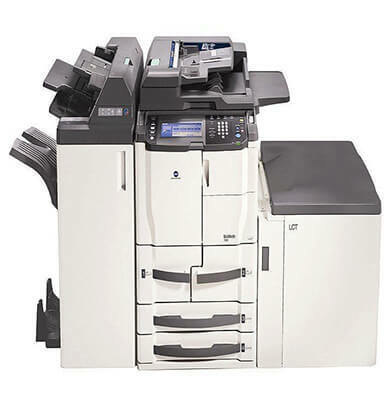 Various options are available for professional in-house productions in Konica Minolta Bizhub C 552 including staple finisher, punch kit, saddle-stitch unit, and Z-fold unit to name a few. Replacing your toner is essential for maintaining the brilliant output the Bizhub C 552 produces. 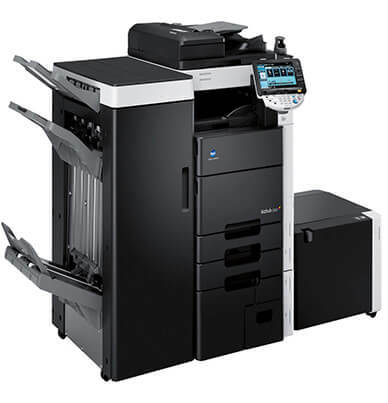 Each toner has a generous yield starting with the black (TN-613 K) estimated at 45,000 pages; each color cyan (TN-613 C), magenta (TN-613 M), and yellow (TN-613 Y) has an approximate yield of 30,000 pages averaging 5 percent coverage.